This Policy applies only to information collected on websites that are directly linked to this Policy, and does not apply to information collected in other areas, whether online or offline. This Policy does not apply to third-party websites (e.g. retail pet store websites) that may be accessed through a link following a search performed on the Site. You should review the privacy policies of any third-party websites to understand how those sites collect, use and disclose any information. The Site is not intended for, or designed to attract, children under the age of 13, or to collect personal information from children. If a parent or guardian has reason to believe that a child has provided us with personally identifiable information, the parent or guardian should contact us at info@boopmynose.com. This Policy applies only to information collected on the Site directly linked to this Policy, and does not apply to information collected through applications on mobile or personal devices. For information on how we collect, use, and disclose data in mobile applications, please see the policies linked to those applications. When you use the Site, we may passively collect (that is, gather without you actively providing the information) your IP address and the location from which you are visiting the Site. We may aggregate this information with similar information provided by other users to produce analytics regarding the number of users visiting a site from a particular location, for instance, or to sort your search results by the store closest to you. The data we collect will never contain, or be combined with, information that identifies you personally. We and/or our service providers may use session and persistent cookies, web beacons, clear gifs, session IDs, successor tracker technology and other similar technologies as you navigate the Site. “Cookies,” for instance, are small text files placed on your Internet browser in order to perform functions like tracking your preferences and selections as you navigate the Site, showing you advertisements based on your interests, or gathering information about the technology you are using to access the Site. We passively collect this information to understand what areas of the Site are most popular, which areas may require improvement and what technologies are being used by our visitors. This information helps us to update and improve the Site. We also use this information for security purposes, to detect and to block security breaches and to provide you with a safe online environment. 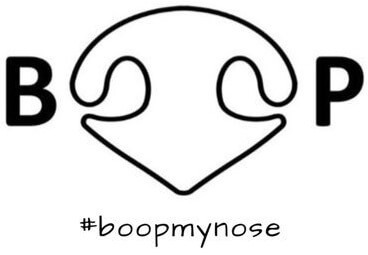 We may use the information collected to provide you services related to the Boop My Nose experience. Your information may be used by the Site to provide notifications and messages to you (including information about our products or services). Except as otherwise stated, we may use information collected internally to operate the services described on the Site, to improve the Site, to customize the Site to your preferences, to communicate information to you, for research purposes and for any other purpose specified in this Policy. We may also use your information to display advertising in the Site to our advertisers’ target audiences. In addition, we may make full use of all information acquired through the Site that is not in personally identifiable form. We may aggregate any anonymized or de-identified information (including, without limitation, usage statistics, search queries, and location information) with information from other users of the Site. We may use or disclose such aggregated information for purposes of operating, modifying, improving, promoting or otherwise commercializing the Site or the aggregate data, but in no event shall such aggregated information include any personally identifying information. We strive to provide you with choices regarding the information you provide to us. We do not collect any information that identifies you personally through the Site. The only information we may collect from you is the passively-collected anonymized data described in Section 2 above. Nonetheless, if through some other means you have provided us with information identifying you personally and wish to correct or delete it from our records, please notify us of your wishes by contacting us at boop@leashyourself.com. Where it is possible to do so, we will act on your request to amend or delete your personal information within a reasonable time. We do not collect any information that identifies you personally through the Site. Even so, we work hard to protect the integrity of the information collected in our databases. We use both technical and procedural methods to maintain the integrity and security of our databases, including the use of encryption and limited access to data. But you should keep in mind that no Internet transmission is ever completely secure or error-free. If you elect to contact any of the pet stores identified on this Site, whether directly or through links on this Site, your choice to provide those stores with your personal information is solely at your discretion. We have no control over, and are not responsible for, any collection or use of your information by such third parties.